Aldi’s caravan gear goes on sale on Saturday, February 9, 2019. IT'S been described as "like rush hour on Boxing Day". 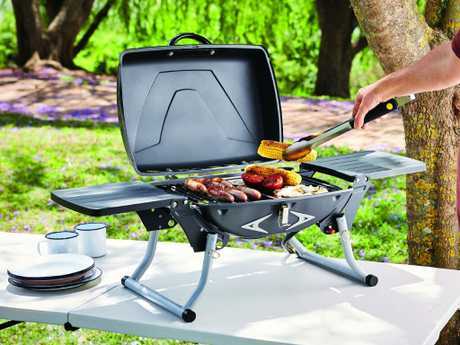 Aldi's caravanning and road-tripping gear sale is on this Saturday, in time for the peak Easter holiday period. And if past years' sales are anything to go by, expect a mad frenzy. So big is Australians' passion for caravanning that across the country, grey nomads are prepared to queue for hours for a chance to kit out their vans on the cheap. 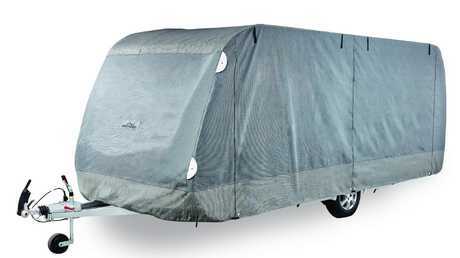 Among the most sought-after sale items are the $99.99 caravan covers. Similar covers at specialist stores retail from $300. "I lined up at my local store at 7.45am and by opening (8.30) there were 200 customers waiting. Sold out in 5 min," one caravanner said of his Aldi experience on the Caravaners Forum website. Aldi’s $99.95 caravan covers have been blamed for sparking “mass stampede”. "Good value, wife got me one last time but is still recovering from the mass stampede and fights of grumpy old men," reported another caravan enthusiast on the Caravan & Motorhome On Tour forum. "We managed to pick up a caravan cover, chairs, 240v/12v TV, floor mats and tables. 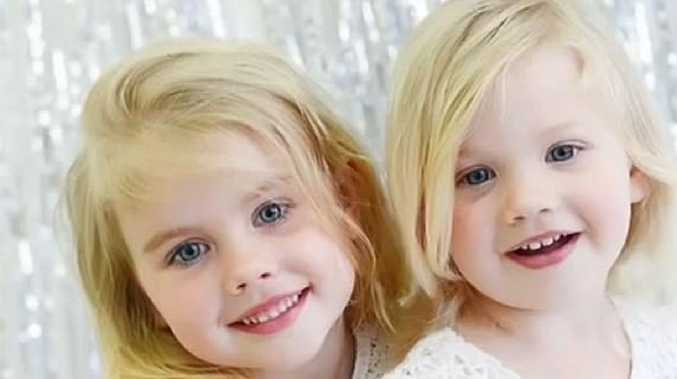 I just can't believe how PASSIONATE and abusive some people get," one shocked shopper wrote one the Expandas Down Under forum. Aldi is selling portable washing machines for $99.99. 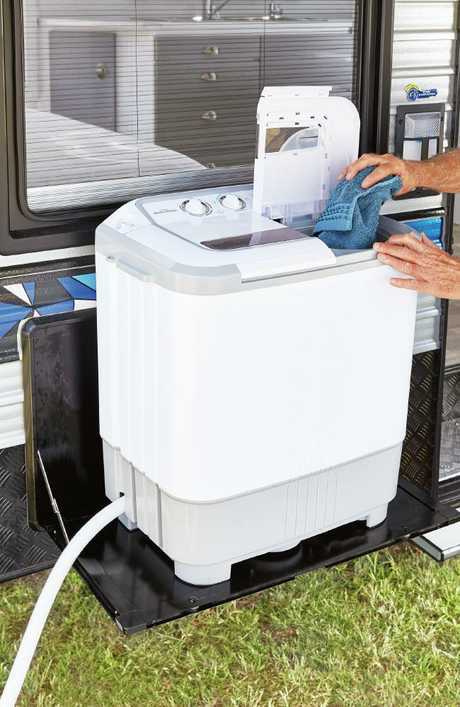 Other popular caravan items up for grabs at Aldi on Saturday include a caravan levelling ramp for $19.99, caravan step for $29.99, caravan privacy walls from $29.99, portable washing machine for $99.99 and collapsible buckets from $12.99. 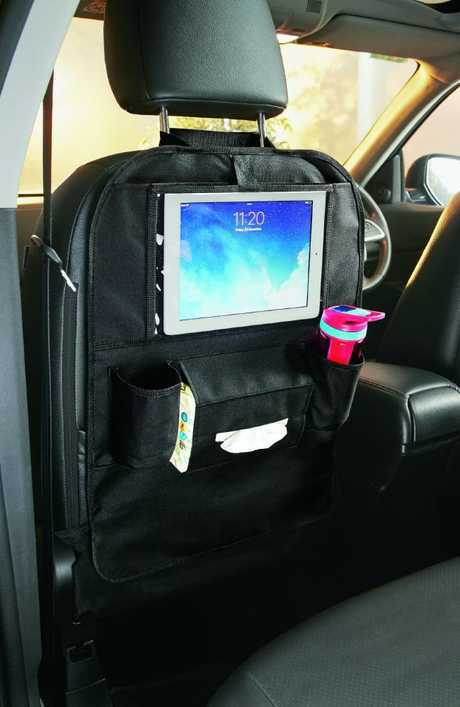 Also on sale are car accessories including backseat organisers with iPad and drink holders from $9.99. Aldi is selling backseat organisers for $49.99. So are the products actually worth battling the crowds for? Well, that depends who you ask. The caravan covers, for instance, have received mixed reviews. "My friend has his caravan next to mine and has the 'Prestige' style which he bought from BCF for $305. When first bought I thought the two were identical in all respects and thought I had a bargain, but found out they are not so. 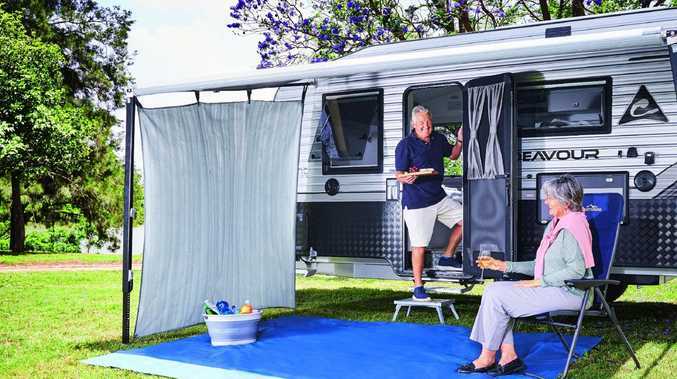 Truthfully the Aldi side cover is just too thin," one reviewer wrote on the Caravaners Forum website, saying the Aldi cover had lasted just two months. "My Aldi cover has been in sun, wind & rain for around 18 months, still going strong," wrote another. 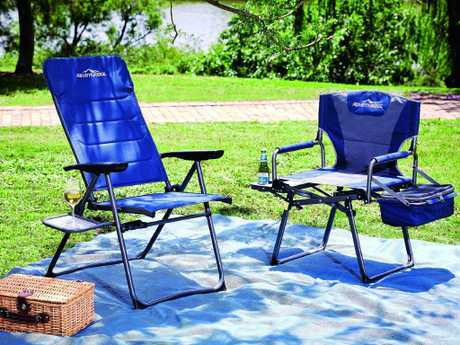 Aldi has premium director's chairs or RV chairs for $39.99. The huge interest is spurred on by a caravanning and camping boom, with the industry experiencing faster growth than hotels, according to the latest figures from Tourism Research Australia. Travellers spending 54.8 million nights caravanning and camping in the year to September 2018, growing at a rate of 9 per cent compared to the 8 per cent growth rate of hotels. Aldi's Special Buys sale on caravan and road-tripping gear is on from Saturday, February 9, while stocks last. Aldi is selling portable barbecues for $89.99.